Discussion in 'eSports' started by Event, Sep 1, 2015. We’re thrilled to see the fast growing number of League of Legends tournaments self-organized by third party hosts such as cafes, school clubs, companies, organizations or even individuals. 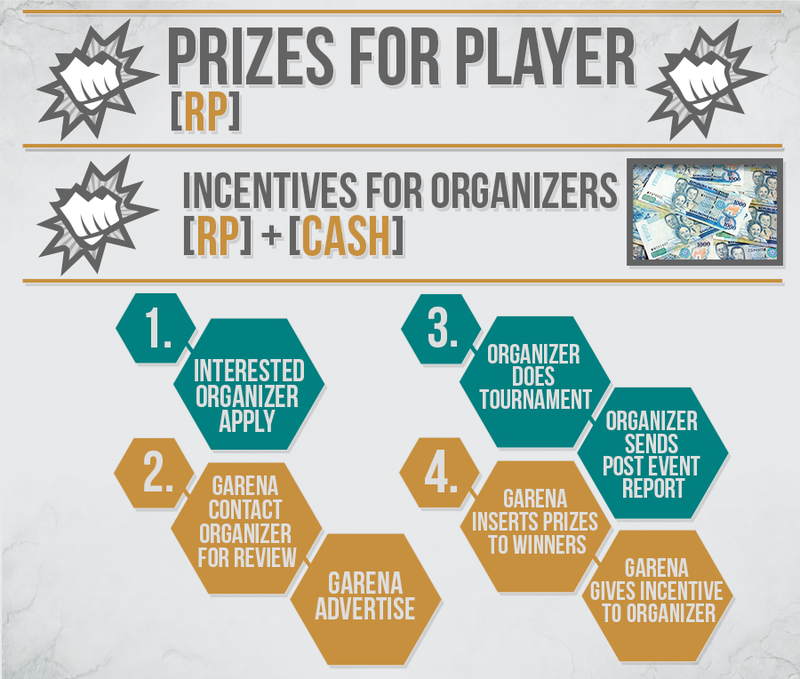 We thought about creating this Prized Event program to further empower and assist third party organizers in making their tournaments more fun and rewarding for participants and organizers alike. Organizers may apply for support and sponsorship from Garena as part of our Prized Event program.